Our leaders were absolutely on fire this week. They all dug in and shared the mindset shifts that have helped them create breakthroughs, so that YOU can use them as well. We didn’t want you to miss a thing so we added them all right here in one easy spot. 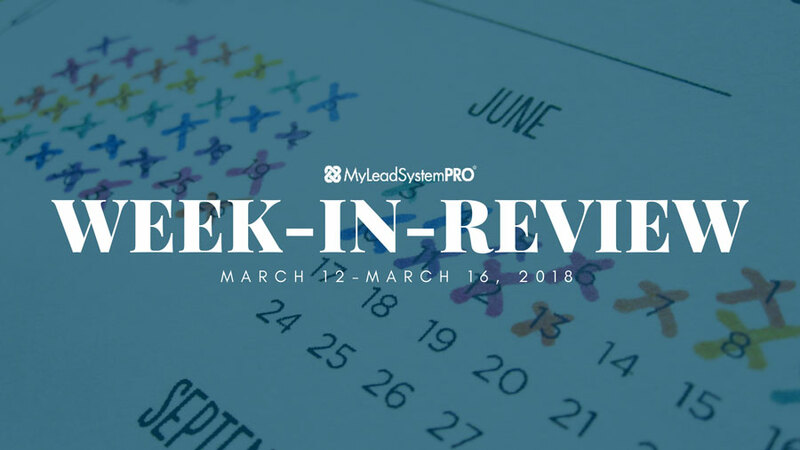 So you can see all the amazing content that poured out at MLSP this week! Check out the life-changing content the MLSP leaders dropped this week! It’s one of the things that end way too many successful home businesses before they even begin. FEAR! Probably the thing that’s most responsible for undue failure and inaction. Your ability to overcome your fear is the thing that will change everything in your life if you let it. It did for April Marie Tucker! On her Wake Up Call this past Monday, she revealed exactly how YOU can do the same. The journey and struggle that April went through in her life that created the FIGHT that’s still in her! Why NOT getting bailed out during her times of struggle was the best thing that ever happened to April. What to start doing TODAY when it comes to FEAR that seems almost backwards! How to take the emotion of fear and shift it into excitement starting today! The daily habit that April has taken up that you’ll want to embrace immediately! One of the saddest things that happens in the home business profession is people starting and failing over and over again. And they do it with the delusion that they’re creating another income stream for their business! It’s almost an epidemic and Leah Getts knows exactly why it happens! Leah and Todd just celebrated the 1 year anniversary of a significant life-changing event, and it’s because of the skills they’ve learned that they could do this only 16 months after finding MLSP! It’s why they were able to take their Twitter Strategy and turn it into a six-figure business, and climb the ranks in their opportunity and MLSP very quickly. On the Tuesday Wake Up Call, Leah went over what YOU need to do so you can do the same for your business! What happened almost exactly 1 year ago for Leah and her husband Todd — that changed everything for them! The things that you must learn if you want to become successful in ANY opportunity! Always ready to give more to the community, Todd & Leah went LIVE from the MLSP Facebook Page on Tuesday morning! They dove deeper into Leah’s topic so that YOU can be able to make any opportunity a winner! ‘2 Tips For Making Faster and Better Decisions That Move Your Business Forward'! It all comes down to the decisions we make in our life. If you look back on your life, your success, and your struggles…you’ll realize that everything that’s happened was built around a decision that you made at one point or another. Before he was the guy that developed a video marketing strategy that would change not just his, but for tons in the industry — Mark Harbert was faced with tough decisions in his life. That need to continuously make decisions never ends. However when you learn how to make decisions better and faster…everything tends to get infinitely easier! Why learning to make better and faster decisions is the key to achieving the higher goals in your business! The differences in the mindset of employees and entrepreneurs, and exactly what decisions have to do with that! The #1 thing that will lead you to be able to make better decisions! Mark zipped right over to the MLSP Facebook Page to drop even more value onto our community! This guy is determined to turn YOU into a better & faster decision maker now! We’re all on the brink of something! A breakthrough in some area of our life is right around the corner. Unfortunately so many people let these things that they’re on the cusp of achieving, slip right through their fingertips! Diane Hochman doesn’t want that for you. She wants you to have your breakthrough jut like she has done multiple times, simply by embracing and running toward those things that she’s on the brink of accomplishing. Her skills in attraction marketing have allowed her to be on the brink of crossing the $1 Million Dollar mark inside MLSP alone as you read this. Yet it’s also because of what she does when she’s in that position and right at the edge of something great! She talked about this on her Wake Up Call on Thursday, and you’re going to want to hear it now! How to NOT let that thing that you’re on the brink of slip through your fingers! The secret of the attraction marketing queen when it comes to seizing opportunity! What caused Diane Hochman to become the top earning affiliate inside the MLSP community! What will YOU run towards TODAY? Diane headed straight over to get some facetime with the MLSP Community! She went LIVE on the Facebook page to dive deeper into her topic of embracing and running toward what you’re on the brink of! ‘How To Snap Yourself Out of Writer's Block To Create Better Content'! We all get hit with Writer’s Block from time to time. Even someone who’s as successful in the home business profession as Lisa Torres! It happens to everyone. However it’s your ability to quickly defeat it that matters the most. The faster you can bust through it, the faster you can start moving forward with your business once again with content that serves your marketplace. On her Wake Up Call on Friday, Lisa Torres revealed her #1 secret to getting through her recent bout of writer’s block, and how you can use it too! The ah-ha moment that Lisa had when she herself was struck with a Writers’ Block funk! The question you must ask yourself when you get into a funk! The fastest way to completely demolish writer’s block in your business so you bust through it FAST every single time! MLSP CEO Brian Fanale took to the Facebook airwaves and went LIVE directly after Lisa’s call. He dove into a message that you’ll want to hear today so that YOU can become the success that you’re striving to become! 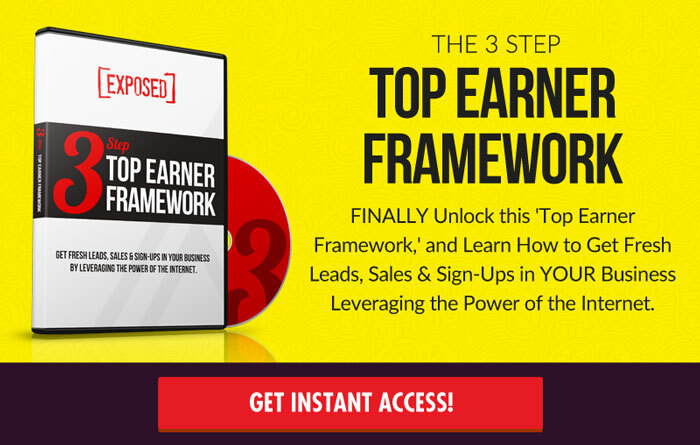 How to Absolutely Own This Next Week and Drive Your Business Forward! You just got FREE mindset training from some of the top leaders in the home business profession. These are the folks at the top of their game. Take these mindset secrets and adopt them as your own to move your business forward this week! Listen to the daily Wake Up Calls in the mornings and watch as these leaders go LIVE daily on the MLSP Facebook Page! Once you do that, then your business will start moving forward like some of our biggest success stories that came out just this past week! See Them Here Now!